Daptone Records is proud to introduce Orquesta Akokán, a big band collective of Havana’s top musicians both young and old, joining forces with some of the most creative and spirited talents of New York’s Latin music scene. 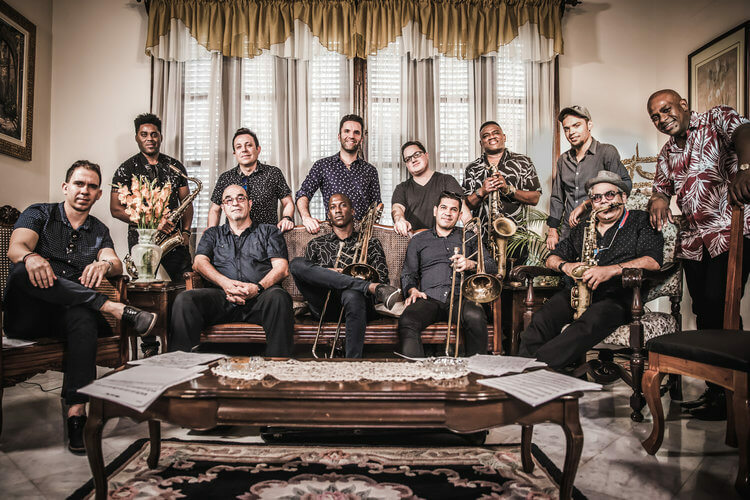 Born out of a shared vision by singer José “Pepito” Gómez, producer Jacob Plasse, and arranger Michael Eckroth, the group reinvigorates the sound of the golden era of Cuban mambo with a bold new energy. Akokán is a Yoruba word used by Cubans to mean “from the heart” or “soul”, so it comes as no surprise that a recording like this would find its way back to Brooklyn’s Daptone Records. For nearly a generation, the venerable label has brought us soulful music in a myriad of styles, made in the present, but with all the craft and flavor of the classic recordings of the past. In doing so Daptone has enshrined both the genres it honors as well as artists creating new works in the universal canon of dance music. A perfect kitchen from which to serve this captivating baile between old and new, performed with rhythm, with care, and above all, con akokán.